Wow! 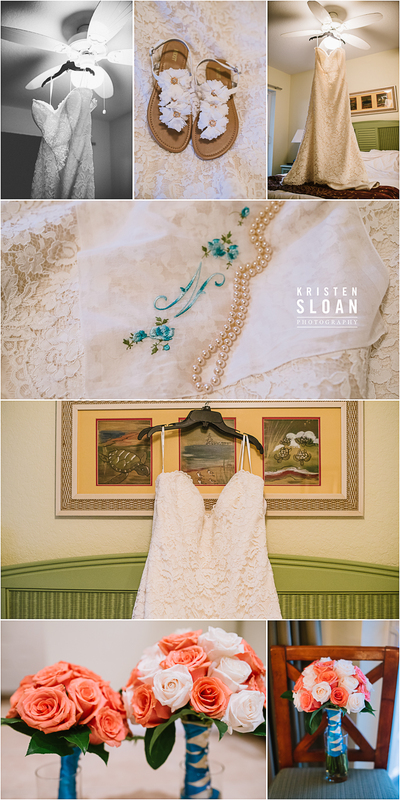 We had a blast photographing this destination wedding at Sunset Vistas Beachfront Suites in Treasure Island Florida, even with a few raindrops. Bad weather can help create some amazing photos. 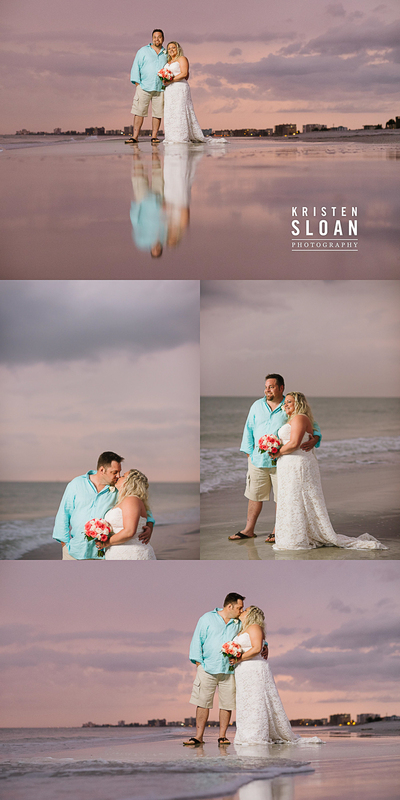 When the skies opened up with a rainstorm late in the afternoon for this Florida Beach wedding, the staff at Sunset Vistas quickly relocated this couple’s ceremony location to under cover in the courtyard. When the rain slowed up, we were able to photograph the couple with their guests in the beautiful tropical courtyard at Sunset Vistas. When we were certain the rain and lighting had paused, we raced to the beach at sunset for some dramatic portraits of the happy couple. The rain created some beach puddles, which we used to our advantage in capturing some dramatic beach reflection portraits. At first the cloudy skies photographed as a beautiful intense blue, and about 20 minutes after sunset we were treated to soft pink skies! We have learned time and time again to keep photographing after sunset at the beach, because the skies can develop with gorgeous colors, even on a rainy day!